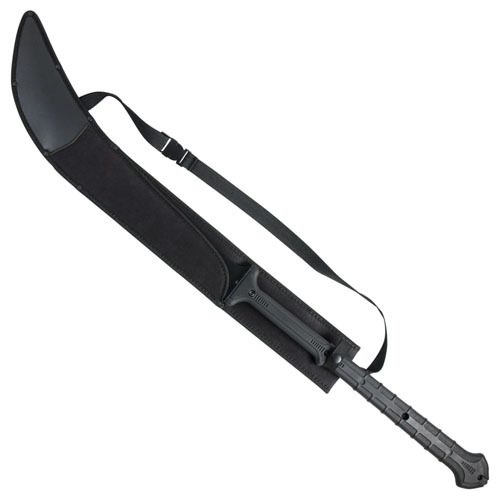 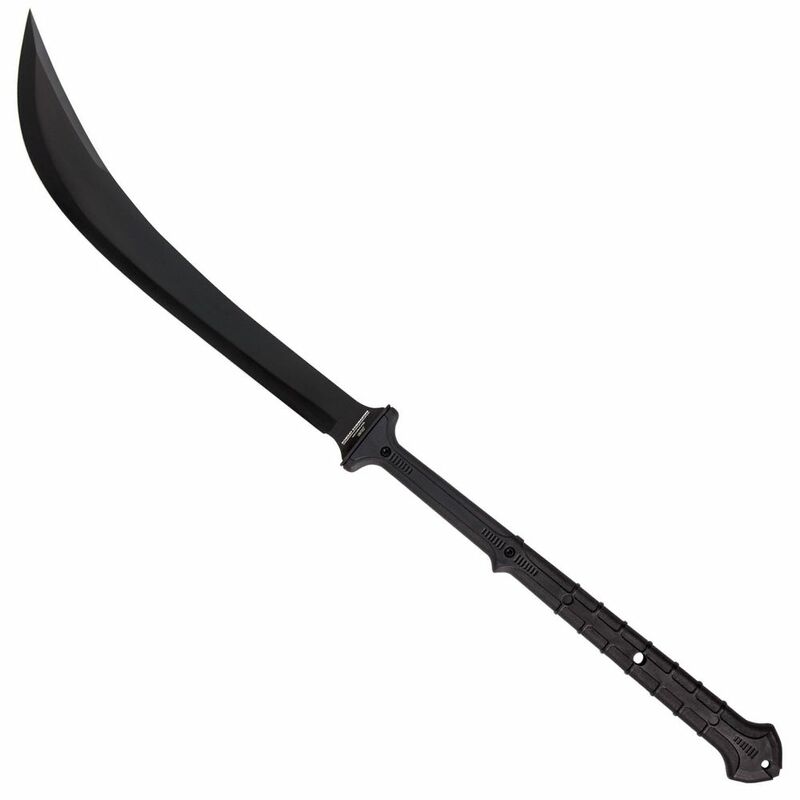 Stay combat ready with the UC Combat Commander Thai Nagi Sword's long blade and handle. 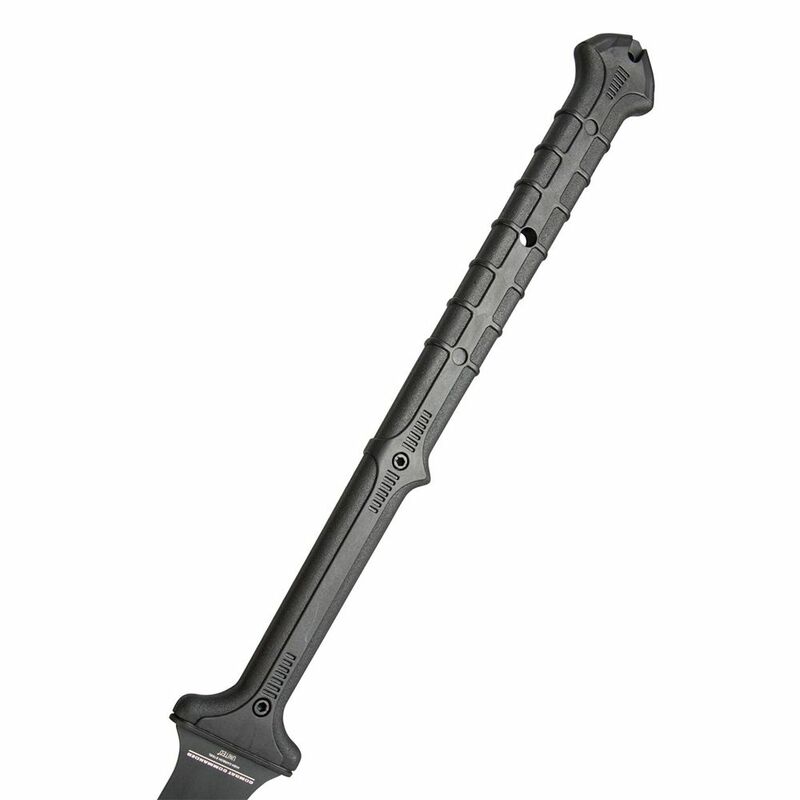 The sword features great weight distribution and stays well balanced in your hands when wielding it. The blade is 1065 Carbon Stainless Steel with an equally as tough nylon fiber all black handle.